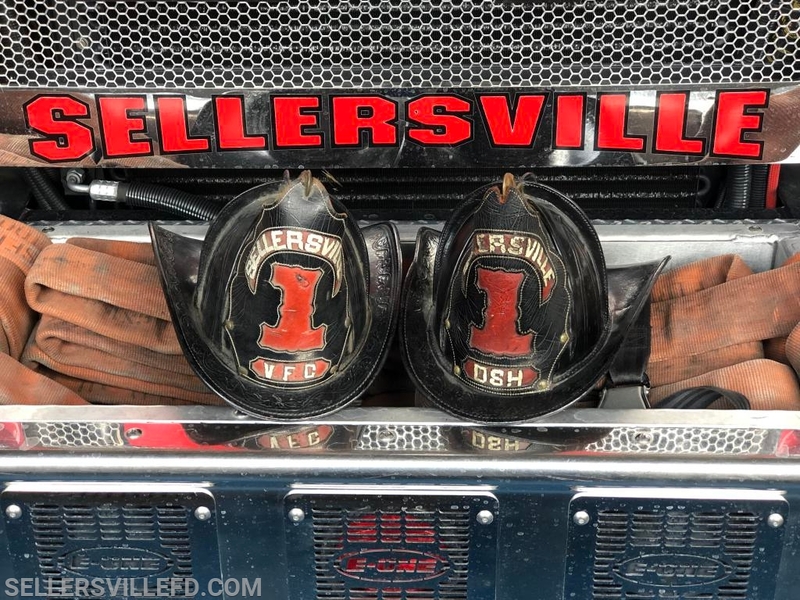 Sellersville Fire Department has recently reunited with another piece of our history. A Sellersville fire helmet was discovered in the Meredith Havens Fire Museum in Trenton, NJ. The museum generously donated the helmet back to the department, where it will be displayed with pride and serve as a reminder of our roots. A pair of antique Sellersville helmets. The Helmet on the right is in honor and memory of Past Chief Harry McElhare, Sr.